Jahman Brahman is a five-member collaboration originating from Columbus, Ohio in 2007. They currently reside in the mountains of Asheville, NC. The name Jahman Brahman emerged from the band’s goal to achieve ultimate musical cohesion: each instrument a facet of a single greater goal to deliver music from the heart of one. The band strives to leave the listener with thoughts of love, life, and the wonders experienced while being part of an extraordinary musical family. Shred ‘N’ Flow is how Jahman Brahman describes their unique style, meaning dynamic sound with a wide breadth of influence, but a focus on rich and fluid progressions of energy. Each member’s musical intuition and influences are unique. From Classic Rock to Electronica to Punk to Jazz, elements from many genres are found in the band’s music. As a result the band pioneers new sounds as the coalescence of their diverse styles unfolds into powerful jams and creative compositions. Providing the low end, Nate “Brother” Brown brings his own style of funked-out and super-fresh bass grooves. Layered on top are Daniel Combs’ transcendent key strokes and myriad of effects, which highlight Justin Brown’s full and conscious lyrics. Drummer, Chuck Knott, provides a steady concrete pulse, the heartbeat for Casey Chanatry’s riveting guitar-work. The band’s newly released album, Choose Your Channel, is one with a little something for everyone and shows both the collective Jahman Brahman spirit as well as a taste of each person’s individual personality. From the very onset of Choose your Channel, you can feel the fresh focus, driving passion, and deeper sense of purpose Jahman Brahman is bringing forward with this effort. Featuring strong cohesive builds, rich environmental textures, and stand -out atmospheric guitar work, listeners experience an audio journey that seamlessly blends tasteful exploratory jam with quality songwriting. For ten years, Jahman Brahman has built a cult following due to their ability to consistently deliver stellar performances packed with energy, cohesion, and an intangible charm. 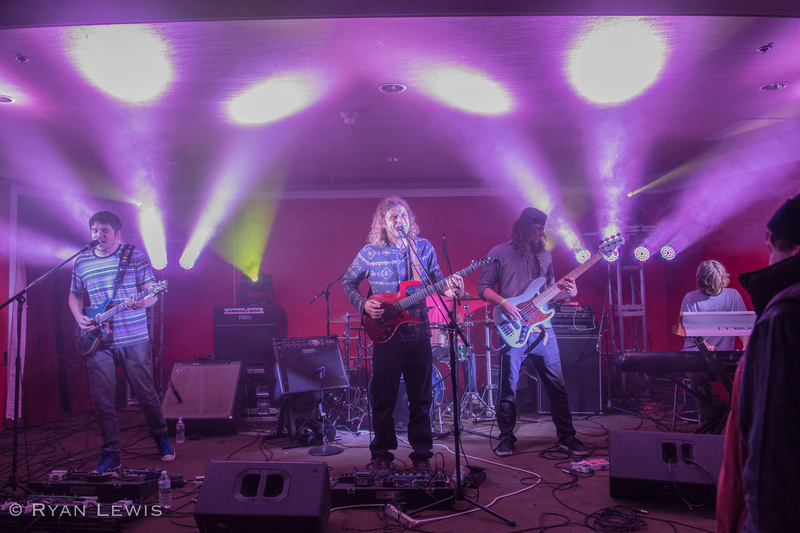 Jahman Brahman is a band that has proven itself time and time again on & off the stage. Yet, Choose Your Channel reveals the true level of talent and sophistication this band can also deliver in a strong studio production. AVL! We are just over a week away from rocking out in the sunshine with all you glorious people at Bold Rock Mills River! You won’t even have to leave the tunes if you get hungry 😋 Choose from 14 ... Comments Jahman Brahman 📷: PhatsPhoto The band is opening for the food trucks! Wish we could come! St. Fatty's Day at Woodlands Tavern We had a blast at Woodlands Tavern for St Fatty’s Day last month! Check out PhatsPhoto’s unique views of our set as well as of all the other killer bands that weekend! Jahman Brahman Jahman Brahman updated their profile picture. 's cover photo Jahman Brahman updated their cover photo. Jahman Brahman is attending an event at Historic Market Square, Knoxville. Timeline Photos Knoxville! Jahman Brahman's uplifting adventure-rock is firing on all cylinders right now. We play Scruffy City Thurs March 14th. Join us for a beautiful night of music and friendship 💜 Comments Jahman Brahman Also joining us at Scruffy City Hall this Thursday is Lightleaker! Show starts at 10pm!